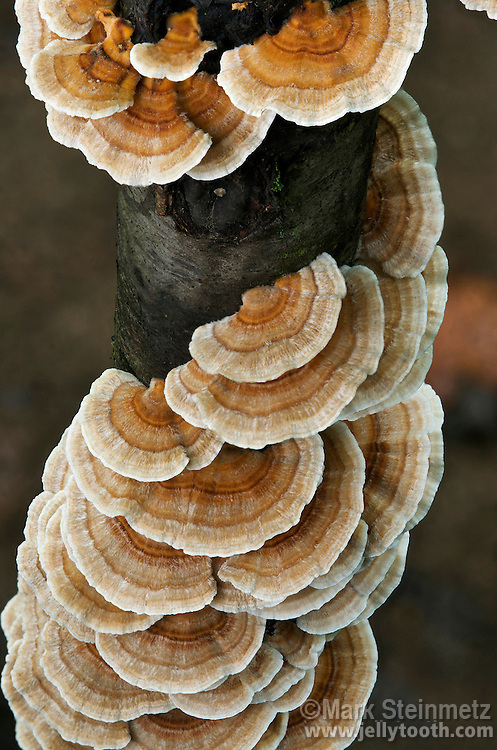 Oblique top view of Turkey Tail (Trametes versicolor) growing on a dead hardwood snag. A common bracket mushroom, in the polypore family, with a wide distribution in North America. Delaware County, Ohio, USA.